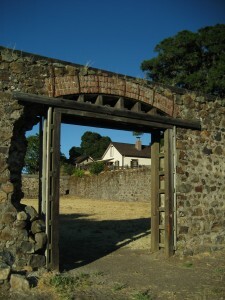 The park contains the cottage residence where Jack London wrote books, short stories, articles and letters while he oversaw various agricultural enterprises. After London’s death, his wife, Charmian, continued to live in the cottage until her death in 1955. It was her wish that the ranch be preserved in memory of Jack London and his work. There is a museum in “The House of Happy Walls,” which Mrs. London built in a redwood grove.